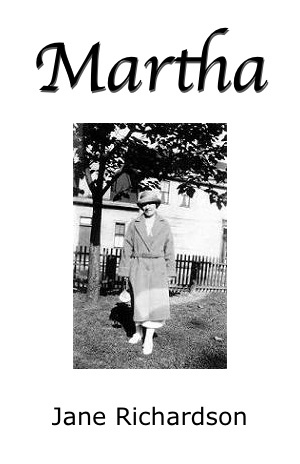 Martha is a story of Jane Richardson's mother's struggles from her birth aboard ship coming to America, through her years in an orphanage to marrying and raising a family in Cleveland, Ohio and its suburbs. As Martha was written for family members, only a limited number of copies were produced. Sadly, none are available for the public at this time.